I moved into my apartment at Guava Gardens towards the end of April, 2014. That's 14 or 15 months ago! Seems to me as though the time just zipped on by since then. Those times in 2014 were filled with big events for me. In March, MsTioga got killed when she ran off of Interstate 5. A couple of days later, I had open-heart surgery to replace a messed up aortic valve and a blocked up heart artery. 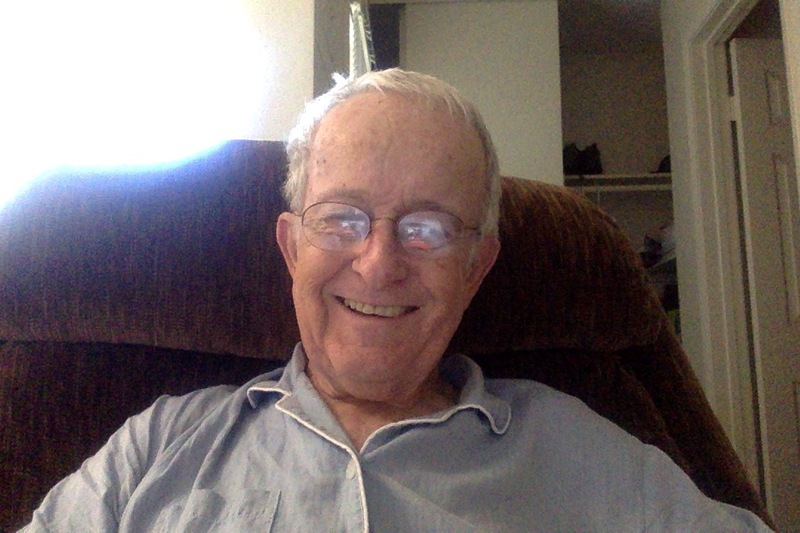 After about 10-days recovery in a Bakersfield hotel (to be near my doctors), I moved into John and Mimi's RV in San Diego for additional recovery time. During the rest of April, 2014, I bought a car, found my Guava Gardens apartment, bought furniture and began living in that apartment. This new life was a huge adjustment for me. For the previous eleven years I had been a full time RVer. Looking back I would say that this part of my life has been filled with marvelous times for me! Over the 10+ years when I roamed the Western United States, parts of Canada, Israel and Mexico, I made about 77 videos. I had forgotten where these video were stored! But last nite I stumbled on to them again. They are on the YouTube website. One video that I am especially partial to is the tribute to my departed son, David. PS: This tribute video was created by one of my readers. I just got back from a bike ride to the Baskin-Robbins store where I bought a hot fudge sundae. At the table next to me was a young man and his 3-year old daughter. He told me that he had picked up his daughter from day-care and they both decided to get an ice cream treat. I mentioned how much more complicated life is now than when I was a 3-year old back in 1940. Our house then was a 2-bedroom, 1-bath with a one car garage. We had only one car. My father worked and my mom stayed home taking care of her home and children. None of the mothers of my friends had a working type job back then. This man told me that both he and his wife work, and that they are barely making out financially. We both have to work he confessed. We can't make-out any other way. I wondered to myself how it came to pass that families decided that they needed two cars, a big house and a lot of credit card debt? I believe that I've commented here in my blog about my sleep related problems. Sleep in my life is sort of strange. For example, as I got into my senior years, I had difficulty falling and staying asleep at nite. However, I do fall asleep easily at inappropriate times. For example, if somebody is talking and has a monotone voice. Off I go! People who observe me fall asleep like this make jokes about. Right in front of me too. Doesn't bother me though. I am not able to get thru reading a book because of the sleep problem. That's why I don't read books hardly at all. However, recently I learned that I am able to get thru an Audio Book without falling asleep. This is a marvelous thing for me! Right now I am in the middle of the Audio Book, "The Catcher in the Rye". A very famous book by J.D. Salinger. Have you heard of this book? The title is weird. Hard to understand. That title may have come from a line in the Robert Burns poem, "Comin thro the Rye." The protagonist in this book, Holden Caulfield, pictures himself being a person who catches children in a field of rye in order to catch them before they fall over a cliff. This is a way for Holden to justify his goddamn crummy existence, as he would put it. Anyway, I am well into this book and have not fallen asleep even once!